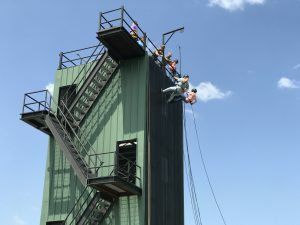 The Teen Cadet Academy is a one week summer program geared toward teens who are interested in law enforcement as a career choice. 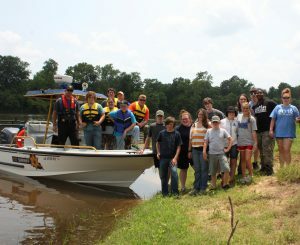 They are provided a working knowledge of all aspects of the daily operations of the Ouachita Parish Sheriff’s Office. Young people who reside and attend school in Ouachita Parish are invited to apply. The academy is for students who are mature and have an interest in law enforcement. 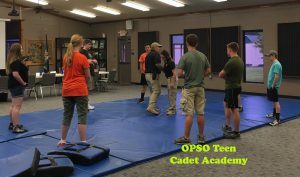 Teens interested in attending must be 14 to 18 years of age and should be physically fit enough to participate in daily physical training and defensive tactics. Cadets must also be able to provide their own transportation to and from the Cadet Academy. You MUST be recommended by your school principal. Recommendation forms and applications will be made available to schools or you can print one from the link below. Forms are also available on our website, OPSO.net. Classroom space will be limited to 20 cadets. Qualified applicants will be accepted on a first come first serve basis. Applications from teens that have been placed in out-of-school suspension during the present school year will not be accepted. All applicants will be notified by OPSO.